When you give to UNC Asheville, you invest in a brighter future. 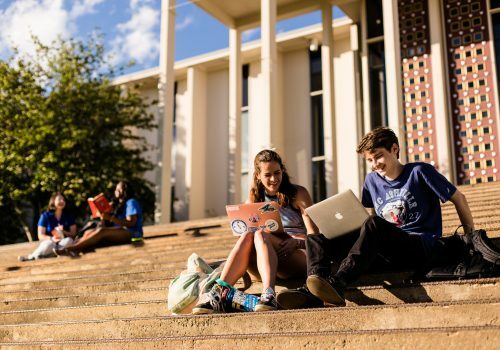 Whether you help fund a scholarship for a student-athlete, give a gift for campus computer labs or plan ahead to make UNC Asheville a beneficiary of your IRA or estate, your support makes UNC Asheville one of the nation’s top-ranked public liberal arts universities. With more than 30 different majors, 15 NCAA Division I sports, 60+ student organizations, small class sizes, award-winning faculty, career-related internships and a nationally-acclaimed undergraduate research program, UNC Asheville not only attracts the best and brightest students and faculty from across the country but also builds the leaders of tomorrow.